Our mission is to treat our patients how we would treat ourselves. We are a general dentistry practice focusing on restorative and preventive care. 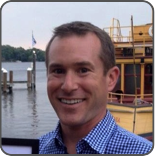 Dr. David Fligge is a 1998 graduate of the University of Minnesota School of Dentistry. Following graduation, Dr. Fligge completed a Dental General Practice Residency at the Minneapolis VA Medical Center. Dr. Fligge is a 1994 graduate of St. Olaf College where he met his wife, Anne. They have a lovely daughter and an English Bulldog whom they shower with attention. Dr. Fligge grew up in Albert Lea, Minnesota. Continuing education includes advanced studies in Dental Occlusion, Endodontics, Implant Restoration, and Esthetics. Dr. Fligge is a current member of the American Dental Association, Minnesota Dental Association, and the Minneapolis District Dental Society. 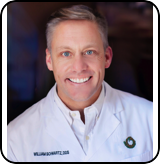 Dr. William Schwartz is a 1998 graduate of the University of Minnesota School of Dentistry. Upon graduation, Dr. Schwartz resided in Steamboat Springs, CO where he was an owner of a dental practice. When Dr. Schwartz married his wife, Amanda, he moved back to Minnesota. Dr. Schwartz has often felt he was born to be a dentist as his father and three uncles were dentists. His mother and aunt were dental hygienists, and his brother is a talented dental laboratiory technician. Dr. Schwartz grew up in Eau Claire, Wisconisin. Continuing education includes Dental Occlusion, Implant Placement and Restoration, Esthetics, and Invisalign. Dr. Schwartz is a current member of the American Dental Association, Minnesota Dental Association, Minneapolis Distritct Dental Society, and the Minneapolis Academy of Cosmetic Dentistry.